Below is an archive of case studies written by Thermaxx Jackets. If you have any questions, please contact us for help! Western Connecticut State University (WCSU) serves as an accessible, responsive and creative intellectual resource for the people and institutions of Connecticut, providing higher education to over 6,000 students in Danbury, CT. 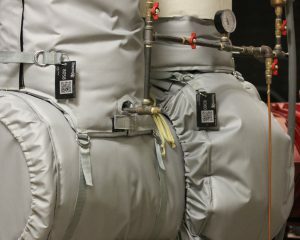 In the spring of 2012, the University of Vermont (UVM) was referred by its distribution partner and steam specialist (Power & Process, Inc.) to insulation specialists Thermaxx LLC to help reduce energy inefficiencies by installing removable, re-usable insulation jackets on their steam equipment. 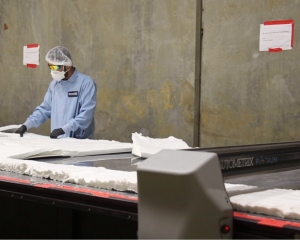 Starting in 2010, the University of Georgia and Thermaxx Jackets embarked on what has become a long-lasting relationship that has saved thousands of dollars to the taxpayers of the state of Georgia. This has been accomplished by launching a strategic three-pronged attack to properly insulate steam pits, mechanical rooms and energy plants with Thermaxx jackets and hard insulation. Silverstein Properties wanted to insulate the front, rear, and rear circle drum of a boiler in its recently acquired property, 3 Mitchell Place in New York City. The 26 story building previously housed the Beekman Tower Hotel. The boiler was running inefficiently and posed a safety hazard because of the high temperature (267°F) of the three components. The boiler must undergo a yearly inspection by an engineer, so ensuring his or her easy access to the boiler was a high priority as well. Brian Pine (Energy Management Coordinator for SUNY New Paltz) reached out to NYPA (New York Power Authority) for a grant through the OMAP for pipe insulation which he was awarded in December of 2015. The Operations & Maintenance Acceleration Program (OMAP) is a suite of offerings aimed at helping state agencies go beyond capital projects and improve their facilities’ operations. Brian asked Thermaxx Jackets to conduct a campus wide energy assessment in January 2016 in an effort to make operations more sustainable. Read more. Duke University is home of the Blue Devils, boasting a population of 13,000 undergraduate and graduate students and world-class faculty. Duke has an unyielding commitment to spreading and applying knowledge in service of society, both near the North Carolina-based campus and beyond. In 2009, Duke launched its Climate Action Plan which has enabled the university to reduce emissions by 16% as of 2012. “We are proud to provide our tenants with a more energy-efficient and environmentally responsible workspace. ThermaXX LLC centered into contract on 3/8/0211 with Utah State University, located on 400 acres with an enrollment of 25,000 students with 1,900 full and part time faculties, to provide Removable Insulation Jackets and Removable Insulation Covers in 40 buildings consisting of 1600+ Insulation Jackets. Total contract value is anticipated to be $ 379,000.00. 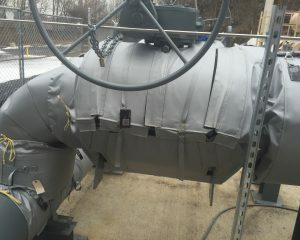 Removable Insulation Jackets Saving University $4000 per Year! 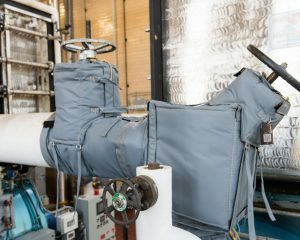 ThermaXX entered into contract September 2011 with Western Connecticut State University (WCSU) to provide Removable Insulation Jackets and Removable Insulation Covers in a mechanical room at Higgins Hall. The mechanical room was a typical university with steam. Although insulated during construction in the 1950’s, the insulation has since been removed and damaged as a result of day to day activities.